With the first wave of Millennials graduating college and entrenched in the workplace, the 21st century Junior Leaguers are also born and Costello Tagliapietra is dressing them. Founded in 1901, the first Junior League was actually the New York Junior League. For the past 100 years, it has promoted voluntarism and community building. Associated with the privileged class, Junior Leaguers are usually in their town or city’s social register. Better known for their charitable work than being debutantes (though most of them are), Junior Leaguers nonetheless are sharp dressers. After all, they always in the scenes to be seen simply because most of the time, they are the organizers! Still, there is a fine line drawn by the Junior Leaguers when it comes to dressing. And that is where Costello Tagliapietra comes in. 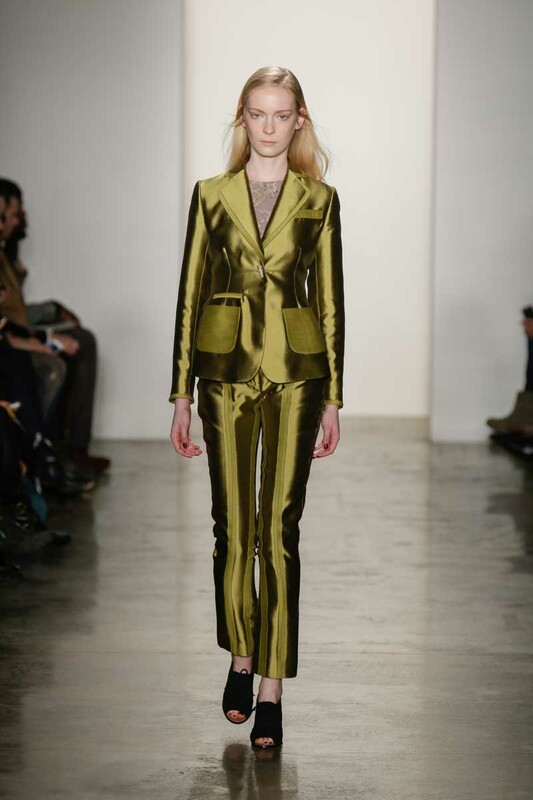 Proposing slim fitting trousers and suit jackets in metallic shades, Costello Tagliapietra found that fine line between classical and trendy. And the rest just toed that line, which happens to be a very fine line to walk on.